How to watch The Frozen Dead: Season 1 (2017) on Netflix Singapore! Sorry, The Frozen Dead: Season 1 is not available on Singaporean Netflix, but you can unlock it right now in Singapore and start watching! 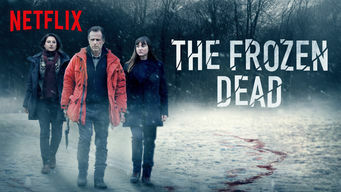 With a few simple steps you can change your Netflix region to a country like Thailand and start watching Thai Netflix, which includes The Frozen Dead: Season 1. We'll keep checking Netflix Singapore for The Frozen Dead: Season 1, and this page will be updated with any changes. The Frozen Dead: Season 1 is not available in Singapore BUT it can be unlocked and viewed! A grisly find atop a mountain in the French Pyrenees leads investigator Martin Servaz into a twisted dance with a serial killer in this icy thriller. A haunted detective. A shrewd psychopath. And a town overrun with dark secrets. This deadly game is just getting started. Season 1 of The Frozen Dead has 6 episodes. Because different Netflix countries have different availability for episodes, you'll need to check the episode listing below to see which are available in Singapore. Summoned back to his old stomping grounds to help investigate a bizarre crime, Capt. Martin Servaz is haunted by a case from his past. After visiting the prison, Martin realizes the horse may be part of a more sinister scheme. Diane's first session with Hirtmann proves unsettling. A body found in the woods leads the detectives to re-examine an old case that hits close to home for Irène. Martin follows a clue back to Toulouse. 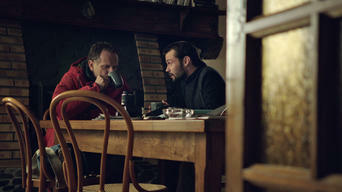 While Martin turns his attention to Alice's family, Irène goes rogue to investigate another friend of Perrot's. 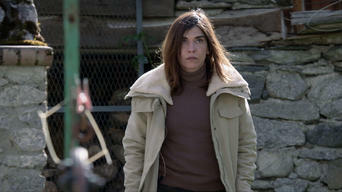 A prison brawl puts Diane in danger. Hirtmann strikes a deal for one last visit with Diane, disturbing videotapes reveal a fourth figure in the ring, and a secret alliance comes to light. With time running out, all sides race to uncover the identity of the fifth man. As Hirtmann's endgame becomes clear, Martin faces an agonizing choice.